BurpMitt® Products | For Babies Who Puke! Does your baby spit up a lot? All babies spit up. Some babies spit up more than others. 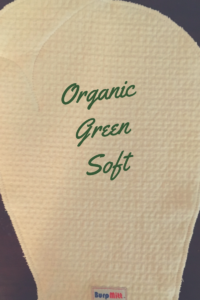 Traditional burp cloths help, but they do not stay put, especially if you have a wiggly baby. That’s why I created the BurpMitt. As a former CIA officer, I had no idea about babies. But once I had my first baby, I had to learn quickly. That’s why I took a break from writing books and decided to invent a baby product. The BurpMitt is made of the finest quality super absorbent fabric, to soak up even the juiciest of burps. The revolutionary SpitLip™ design is made to catch even projectile spit up. It is great for babies of any age, but especially handy with preemies, newborns and very young infants. The BurpMitt is made of 100% organic cotton and can absorb up to ten times its weight in under two seconds. It soaks up twenty times faster than other materials (bamboo, cotton, hemp knits). 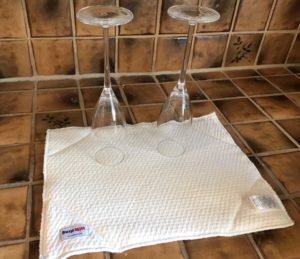 There is no need to prewash and dry it to activate its super absorbency – it is ready-to-absorb straight out of the packaging. Measuring approximately 14 inches in height and 10 1/2 inches wide, the BurpMitt is one-size-fits-all with mildly stretchy fabric. Please note the BurpMitt in the video looks different than the final BurpMitt result. The BurpMitt pictured is the very first, handmade prototype BurpMitt. Made of the same super absorbent organic cotton fabric, but with an extra layer sewn in the middle, our companion product, the BurpMitt SoakPad is a multi-use pad. Reusable, which makes it environmentally-friendly, the SoakPad has a variety of uses. The perfect size for a standard changing table, use it for extra protection and absorption while changing your baby’s diaper. Or, use it to housebreak your puppy or small dog. 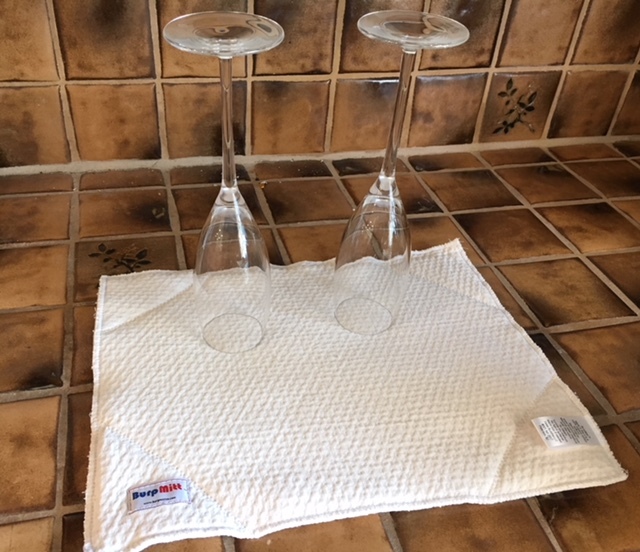 It can even be used to dry your fragile glassware. The BurpMitt SoakPad measures approximately 14 1/2 inches long and 10 3/4 inches wide. BurpMitt® products are proudly made in the U.S.A.
Due to the nature of the fabric, please expect some slight variations in each item. If you would like to learn about the process of manufacturing a product, please visit the Blog page to hear more about our journey. Information on this site is not intended to be used in place of a doctor’s advice. If your baby is projectile vomiting, or vomiting forcefully, please call your doctor.